"I thought Benjamin drew a really heartfelt performance from Robert Hardy that pulled all the right emotional strings so please pass on our congratulations on a fine short!" "How moving, it brought tears to my eyes. I wish someone could love me that way." "What a moving and powerful 8 minutes - had me in tears - well done." "It was a beautiful film, very emotional - fantastic short." "Great short film! I loved Robert Hardy’s performance - what a legend". "Well done, very well produced, directed and shot - should bode very well for the feature". "Lovely performance, great direction and script - a very touching film." LOG LINE: "If you hold them tight they become so real again as they are yours to treasure forever". STARRING: Robert Hardy, Michael Dixon, Antonia Bernath, Chaitun Bagary. World Premiere June 2nd 2009 at BAFTA, Picadilly London, UK. On release to world wide film festivals from 15th June 2009. 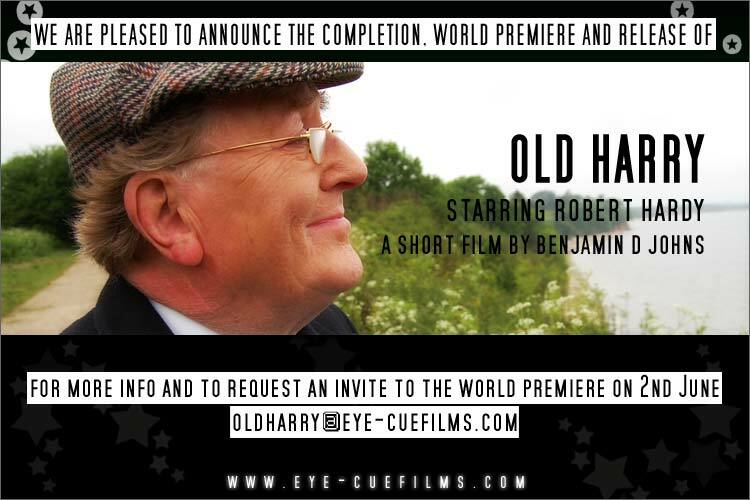 From the World Premiere of Old Harry, starring Robert Hardy at BAFTA on 2nd June where more than 200 invited guests attended a mix of cast, crew, family friends and industry. 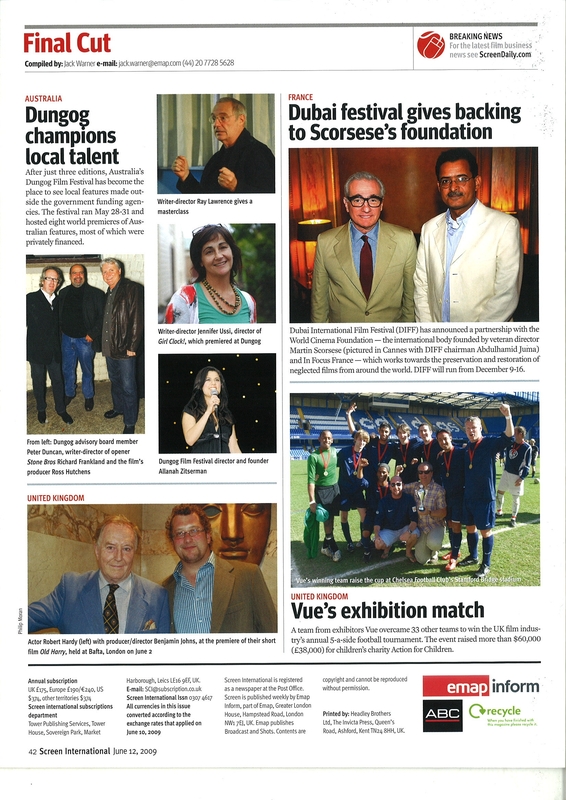 A photo & editorial was featured on back page of Screen International 12-18th June. All rights available as of 16th July 2009. For more information and to request a dvd screener.